Tumbletown's new album is out now. TumbleTown is a project by Han Uil (Seven Day Hunt, Antares and solo works), Aldo Adema (Egdon Heath, Seven Day Hunt) and Erik Laan (Silhouette). A collaboration between three skilled old dogs in the progressive rock scene. Aldo and Han both played together in Seven Day Hunt, a continuation of Egdon Heath. The 2008 debut release ‘File This Dream’ was hailed by the press as ‘the album of the year has come early’ (Progwereld) and ‘vette krent’ (iO pages). Aldo and Han left Seven Day Hunt in 2009. Aldo wanted to concentrate more on studio recording and production work. Aldo co-produced and mixed the two Silhouette albums ‘Across the Rubicon’ and ‘Beyond the seventh wave’. Meanwhile, Han recorded and produced his second solo album ‘Dark in Light'(2010). Han and Aldo co-operated on one song of this album< ‘Memento’. Because this successful cooperation, they both decided to start a new studio project. TumbleTown was born. 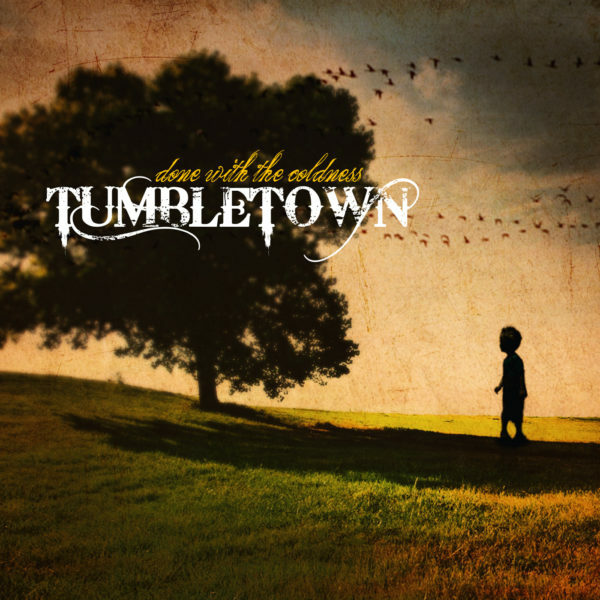 TumbleTown’s debut album ‘Done with the coldness’ had been released by FREIA Music, a Dutch independent music label in June 2013. The album is a brilliant mix of progressive and mainstream rock. Influenced by artists like Steve Wilson, Karmakanic, The Beatles, Marillion, Jethro Tull, Spock’s Beard, Peter Hammill and David Bowie. The album features guest appearances by Erik Laan on keyboards, Marcel Copini (Egdon Heath & Seven Day Hunt) on bass and Carola Magermans (Seven Day Hunt) delivered a vocal contribution. In 2015 Han released his third solo album ‘Lawless local heroes’. Shortly after, Aldo and Han decided to record a second album. During the production of the album, Silhouette keyboardist Erik Laan joined TumbleTown as a member. And then there were three! The new album ‘Never too late’ will be released by FREIA music and features ten adventurous songs powered by the solid drums of musical guest and Erik’s son, Arjan Laan (Skylake). Listen to our song ‘Transatlantic’ on SoundCloud. Eleven minutes of epic prog bliss! Watch the video for our new single ‘One Giant Stage’ and our album trailer below. In 2013, we released our debut album ‘Done with the Coldness’. You can stream it on Apple Music, Spotify and the likes but physical copies are also available for those who like to hold something tangible in their hands. Order ‘Done with the coldness’ by clicking on the button below.